Minecraft is something that I have devoted an alarming amount of time to. Since I started playing it, I have sank countless hours into it. Sometimes I run out of ideas of things to make, but I always get my groove back and find myself in the zone again. But Minecraft isn't perfect, and there are some things I would like to see put into the game. A few years ago I was gifted Minecraft from my good friend Matt Hackett for my birthday. "I think you'll really dig it," he said. Whether or not he was making a pun is irrelevant, because I did absolutely dig it. Around that time, I made a world around Beta 1.3 or 1.4 and played it for a while not really knowing what I was doing. Matt directed me to a site which explained the mechanics of the game and I started playing around with it more and more, eventually figuring out how do things as simple as crafting. Eventually I abandoned my original world for whatever reason and made another one that I named Brave New World. I did that in 2010, and in 2016, I'm still playing in that same world. I have changed my building styles over the years, and with the inclusion of more and more decorative items and blocks, I have been given the tools I need to make some beautiful designs. 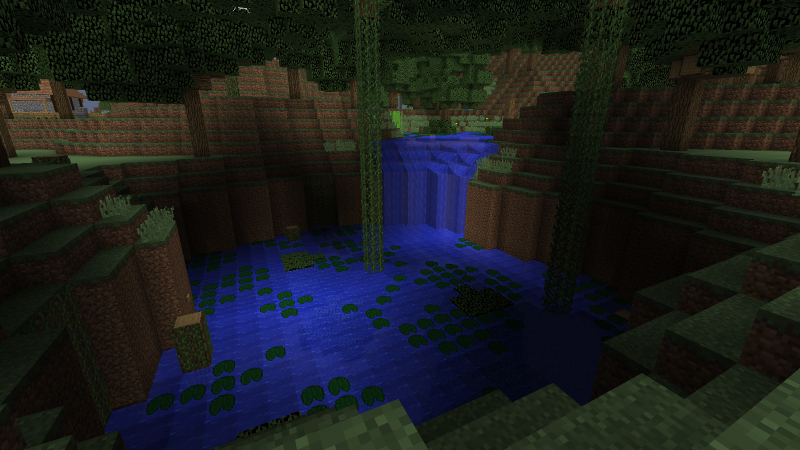 However, the more I play it, the more I think of things I would like to see in Minecraft. This little article today is about those things. And I realize there might very well be mods that do these things, but I'd rather they be in the vanilla game so everyone can enjoy them. So let's begin! I have been wanting ropes for a while, and I know that's a weird Minecraft request, but I think it would be really neat. You could put rope between two objects like a fence and it would attach to both blocks. The rope would droop down in the middle, and unlike fences, you could jump over them. I've been wanting to have ropes hanging from the ceiling in various rooms, as well. Maybe you could even attach a block to one and make a trap out of it. I think it would be cool if you could assign a key to a door, and the door would only open if you were holding the key when you tried to open the door. I guess if you only needed to be holding the key the first time you tried to open it that would work, too. 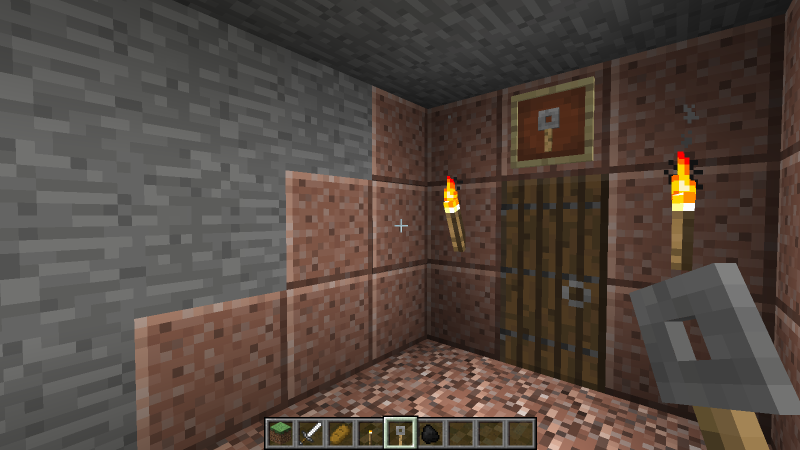 I just think that locked doors would add a lot to making adventure maps. You could have a dungeon with keys hidden around that would allow you traverse deeper into it. I'd like the ability to change the texture on sides of blocks. Maybe it's a white block with a question mark on it, and you could add different textures to it by holding a block and right clicking it. Basically this comes from me wanting to make more realistic houses. I think if you could add details to blocks, in a way similar to carpet, it would add a lot of chances for creativity. For instance, maybe some claw marks. You could put the claw marks on a block and have it look like something scratched it. The surrounding area of the mark would be transparent, so you could add it to any block you wanted. Another example would be a pile of bones, which is something I really, really want in Minecraft. I think back to Warcraft 2 and how I would make maps for that, and one of the things you could do was add little details to the ground. One of them was a blood splatter on the snow, and while Minecraft probably wouldn't add gore effects to the game, it's the same idea. You can only place so many flower pots, you know? I don't mean blocks that have a function, but rather things that would just sit around. The game already has the aforementioned flower pots and things like heads, but how about some more variety? Just throwing ideas out, but maybe a propped up picture frame, a drinking glass, a bowl or plate, a box or crate, or a book? 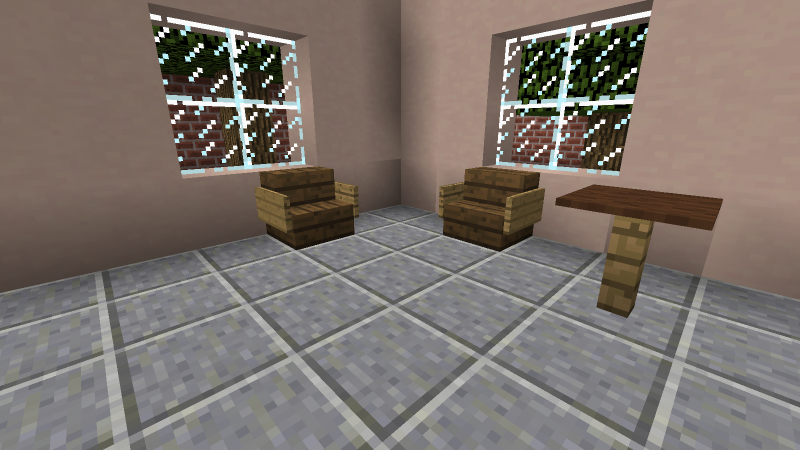 How about some basic furniture? Maybe get away from making chairs out of stairs and signs and have a block that's an actual chair. We already have the bed. And these things don't have to serve a function other than just being there. How about sand that acts like lava when you jump into it. Only without all the burning. You could suffocate in it like water if you fell below the surface. This is kind of a weird one, but a water block that isn't pristine clear blue. I put brown stained clay underneath water to somewhat achieve this effect, but it doesn't look as dirty as I would like it to. 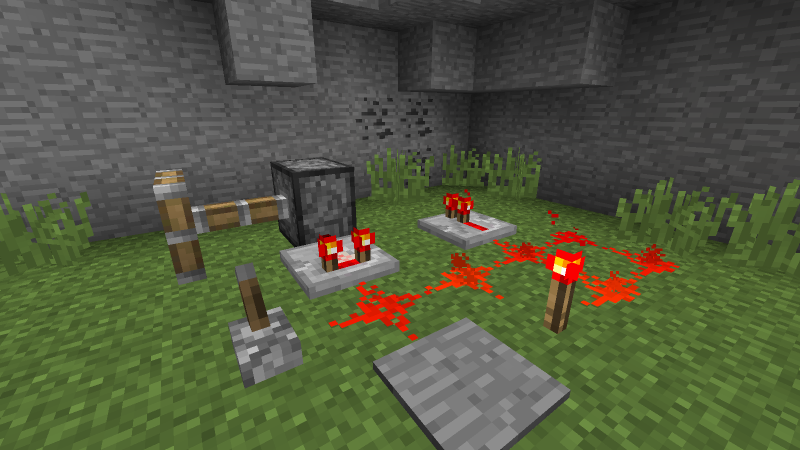 I know Redstone is pretty integral to Minecraft, but I feel like it's unnecessarily complicated. It really needs simplified. I wish I didn't have to do some intricate Redstone wiring just to make this switch over here move a wall over there and reveal a door. I'm not saying get rid of it, but clean up the process a bit. Not having to have an empty space above the wire would be helpful. Like if you could sandwich the Redstone between two blocks. It would make it more compact at least. I love the flowers, grass, vines, and lily pads, but I can always use more! How about some cattails to put next to water? How about a dead branch to place on the ground? How about a rock or a pile of rocks? The more variety you add to an area like that the more natural it looks. Rocks are definitely something I'd like to see, and with the inclusion of granite, it would just add even more spice to nature scenes. I'd like to be able to place a wood slab and then, for example, place a stone slab directly on top of it without there being a gap between them. How about the ability to tether a sound effect or jingle to an action in the game? You could have a chime play when you open your front door, or even play a jingle when you open a treasure chest like in The Legend of Zelda. Obviously some of these wishes would require a lot of work to the game, but I'm just throwing things out there. These are all things I have thought about at one time or another while building, and I think they would be interesting things to add to Minecraft. What things would you like to see in Minecraft? Let me know in the comments!